Martin an Executive R&D Imagineer with Walt Disney Imagineering, where he leads robotics and A.I. His passion is to translate new technologies into transformative new systems, capabilities and experiences that improve people’s lives. 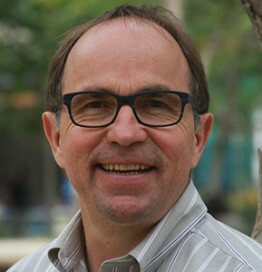 After an academic career in robotics at McGill University from 1991 to 2003, he has worked on robotics in industry at several companies, advancing consumer, defense, surgical, logistics and entertainment robotics. Martin is best known for breakthroughs in legged robots like BigDog and RHex. He holds several patents, served on the editorial boards of the top three robotics journals, is an IEEE Fellow and holds the prestigious Robotics Industry Association’s Engelberger Award for Technology.